We place a great deal of emphasis on the appearance of our students. We expect them to be smart, well presented and to wear full school uniform at all times, including their journey to and from school. All items are available from School Uniform Direct who provide a comfortable, high quality, easily maintained uniform. If you have any queries about uniform, please contact the school before purchasing items to avoid wasting money. The following items of uniform are compulsory with our school logo. They can only be purchased from School Uniform Direct, Unit 5 Mitcham Industrial Estate. The following items of uniform are compulsory. 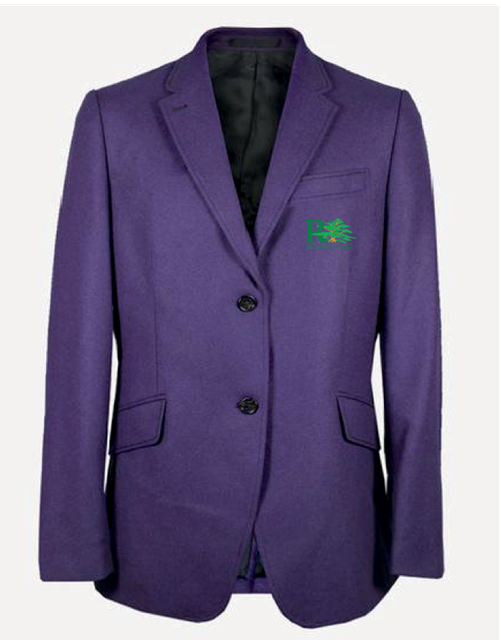 These can be purchased from School Uniform Direct or from any other retailer of your choice. Plain black, green or purple outdoor coat (one colour, no pattern, logo or writing). No denim, leather, imitation leather, fur coats, fleeces, hooded sweatshirts or body warmers. 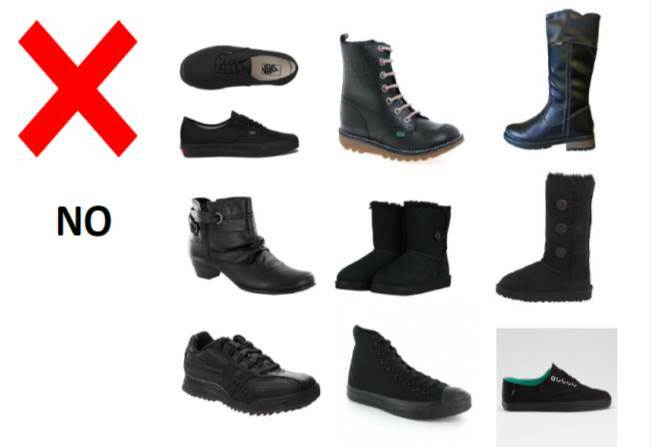 Some examples of shoes which are not school uniform are shown below. A reading book: all students must carry a reading book with them at all times.